The Most Relaxing Song Ever? 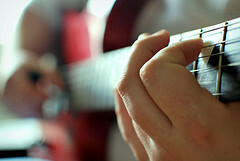 The absence of a distinguishable melody is essential to the calming effects of the song. When listening to a melody, we begin to predict the next note before we even hear it. Since there is no melody in “Weightless,” we do not unintentionally anticipate notes. As a result, we can let go of any anticipations that prevent us from achieving a higher state of relaxation. In other words, the brain is allowed to “shut off” or minimize stimulating thoughts. It is important to listen to the whole song to fully gain its benefits. Many people have found this song to be extremely beneficial as an aid to falll asleep. “Weightless” was found to be 11% more relaxing compared to the other songs that were assessed. Furthermore, the participants on average were found to have a 65% reduction in overall anxiety and the song reduced their normal or base line anxiety scores by 35%. The song was also noted to produce a higher level of relaxation when compared to a cup of tea or massage. 3. Music is an extremely subjective experience. While some people find one song relaxing, others may completely disagree. As explained above, music is an extremely subjective experience. So while this study may reveal the calming effects of this song, it cannot conclusively be named “The Most Relaxing Song Ever” like many other articles have dubbed it. Such a title is undoubtedly used to sensationalize and get more readers. There is no possible way a single study that only used 40 women can determine the most relaxing song ever. Nevertheless, many people, including myself do indeed find the song to be very relaxing. Such songs may be useful to unwind after a long day or relax you after stressful events. Ultimately, if the song coaxes you into a state of relaxation, then that is great (and great for your health)! If not, then it was worth a try; just stick to what you think relaxes you the most when you feel the need to unwind after a long and stressful day.